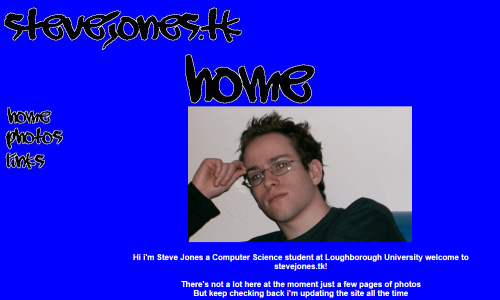 I first started teaching myself HTML in about 2001, I managed to learn the basics and created my first website in about 2004. It was very basic and looking at it now, badly coded! 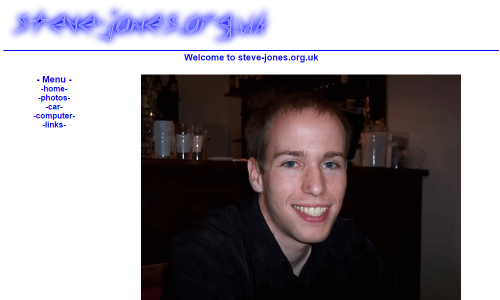 The site used a lot of images, for the titles and menu items. The rest of it was large areas of solid colour. The code behind the site used a table based layout and didn't include any CSS. 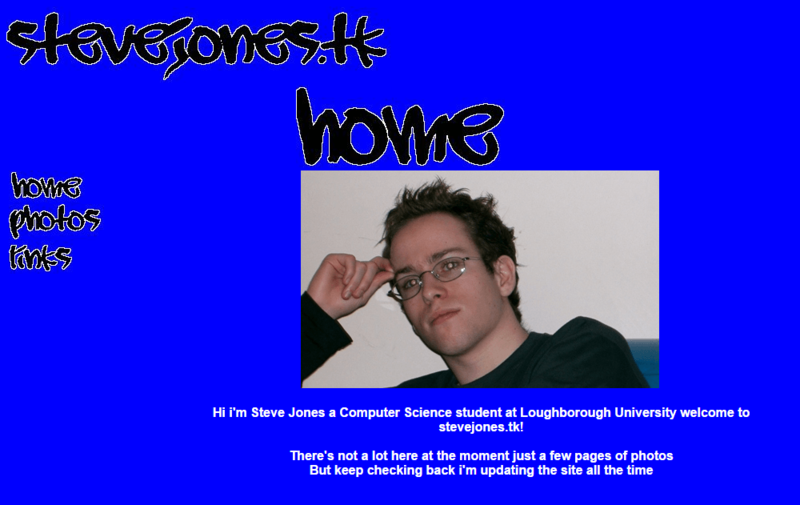 By 2005, I'd started learning some basic CSS and made some updates to my website. 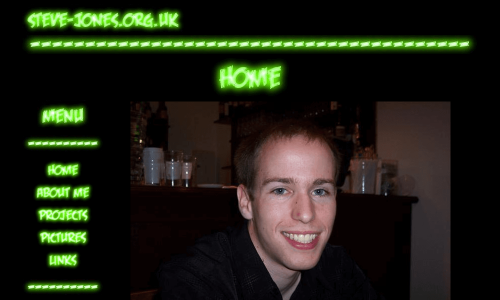 The design was still very basic but I did remove the images for the menu items and replace them with more user friendly and SEO friendly text. 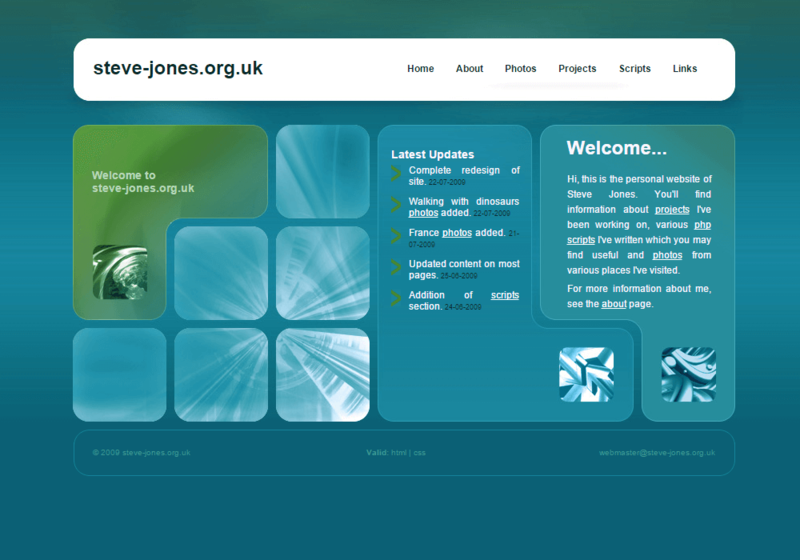 The 2007 version of the website was updated to use more complex CSS. 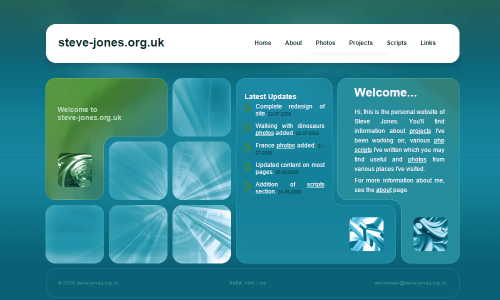 I also ensured the site conformed to W3C website standards for both the HTML code and CSS. 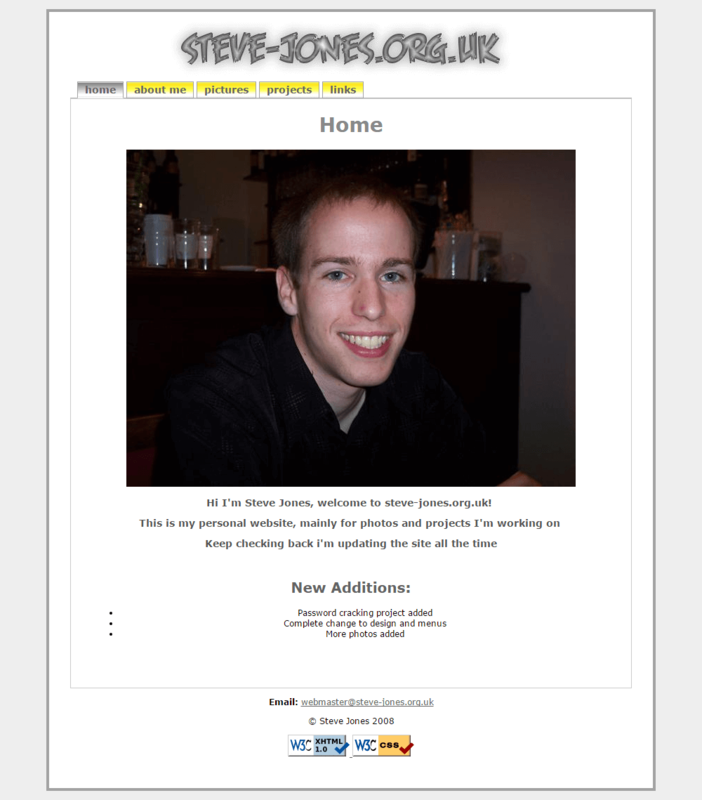 The other big change I made to the site was improving the content. 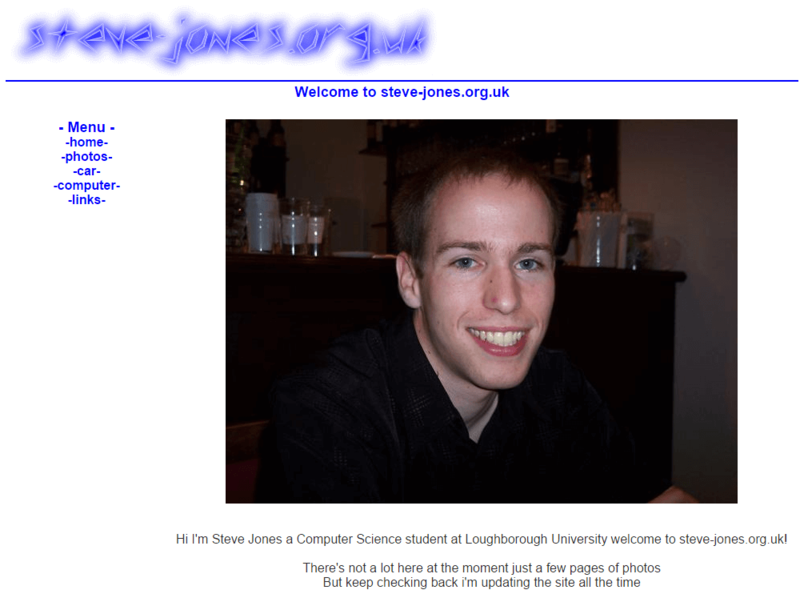 In 2008 I updated my website to use XHTML and CSS, using div's for the layout and external stylesheets instead of inline CSS. This was a big improvement to the structure of the code and ease of updating it. 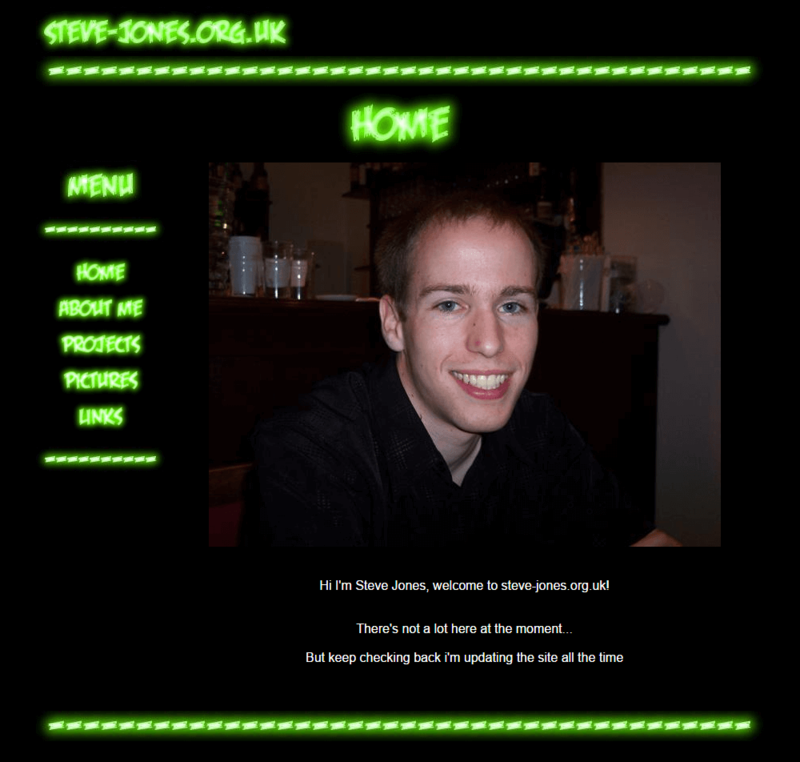 By 2009 I had started PHP development and had decided I was more of a programmer than a designer so thought I'd try using a website template from 4 Templates instead of my own design. Once I had found one I liked I could then modify it to suit my needs. 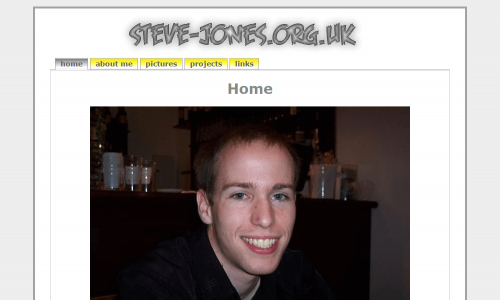 I used PHP to create dynamically generated pages with header and footer templates meaning I could quickly and easily update the design site wide by making a change in a single file.